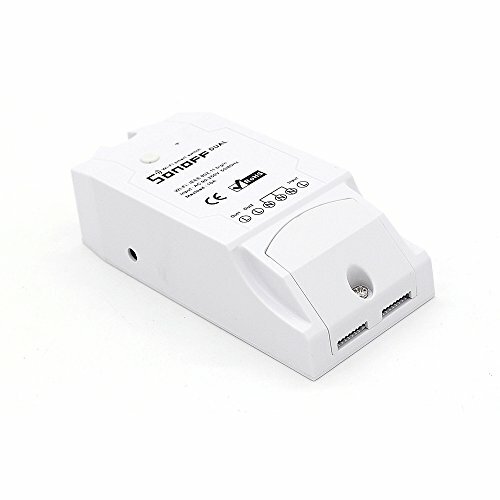 This product is available at ITEAD INTELLIGENT SYSTEMS LIMITED, Banggood, Ebay, FastTech, Amazon.de, Amazon.co.uk, Amazon.com. 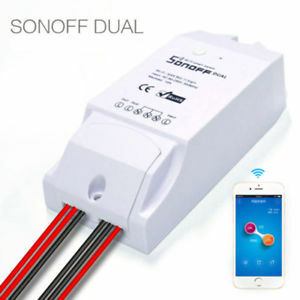 At itead.cc you can purchase Sonoff Dual WiFi Wireless Smart Swtich for only $8.60, which is 38% less than the cost in Amazon.co.uk (£13.90). The lowest price of ITead Sonoff Dual Channel WiFi Wireless Smart Switch, Control two home appliances with APP remote control Appliance Controller for DIY Smart Home was obtained on 9 October 2017 10 h 04 min. The Sonoff DUAL of the Chinese manufacturer Itead is a module that allows to control 2 relays separately in WiFi from a smartphone. 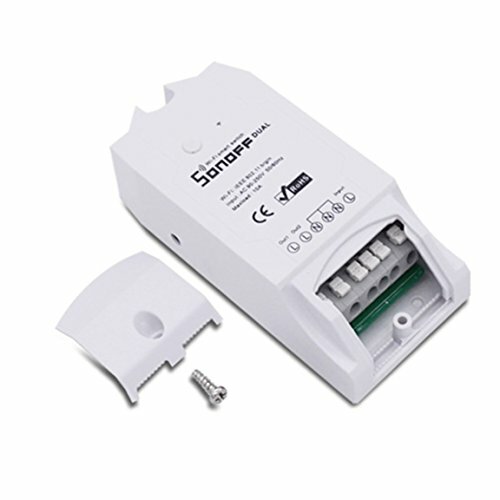 The Sonoff DUAL can power devices up to 3500W max. (16A). Do not exceed 2200W per relay and 3500W in total. Like all Itead connected products, it is possible to replace the original firmware with an alternative Open Source firmware such as ESP Easy, Tasmota or Espurna. You will be able to control your devices from a DIY home server (Domoticz, Home Assistant …) using HTTP requests or MQTT messages. An example of a facility proposed by Itead. Not all modules have CE or FC certification. They are reserved for the Chinese market. It is not recommended to use these devices outside China. The CE and FC certified modules are listed in the comparative table below. Technical specifications are subject to change by manufacturers at any time without notice.